Mihkel Kütson (© Mison Foto). Linus Roth (© Dan Carabas). 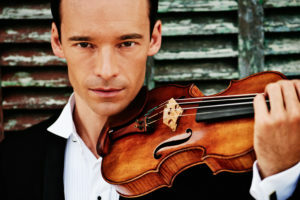 The violinist Linus Roth, who has won the Echo Klassik award of German music critics twice – in 2006 and 2017 –, is similar to Neeme Järvi in that he is also characterised by the fondness for discovering and highlighting composers from music history who have – undeservedly – not received as much attention as their colleagues. One such example is the Polish-Jewish Mieczysław Weinberg, whose violin works Roth has performed and recorded, gaining international attention. He has performed Weinberg’s violin concerto with the conductor Mihkel Kütson on several occasions; the work has been recorded with the Deutsches Symphonie-Orchester Berlin. 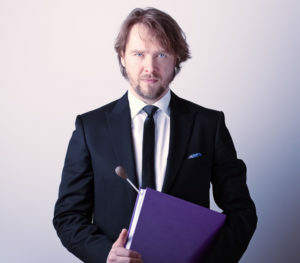 Mihkel Kütson has been the music director of Vanemuine Theatre, the first kapellmeister of the Hannover State Opera, the principal conductor at Schleswig-Holstein Theatre, and from 2012, the principal conductor at the Theater Krefeld und Mönchengladbach and its orchestra, Niederrheinische Sinfoniker. Kütson was the first person to win the German Conductors’ Award in 2006. During the pre-concert discussion, composer Jüri Reinvere will talk about his new work.